Here are some tasty and nutritious tubers to broaden your horizons and your palate beyond your typical potatoes. Of course, these roots are all gluten free and appropriate for grain-free diets such as paleo or Whole30. 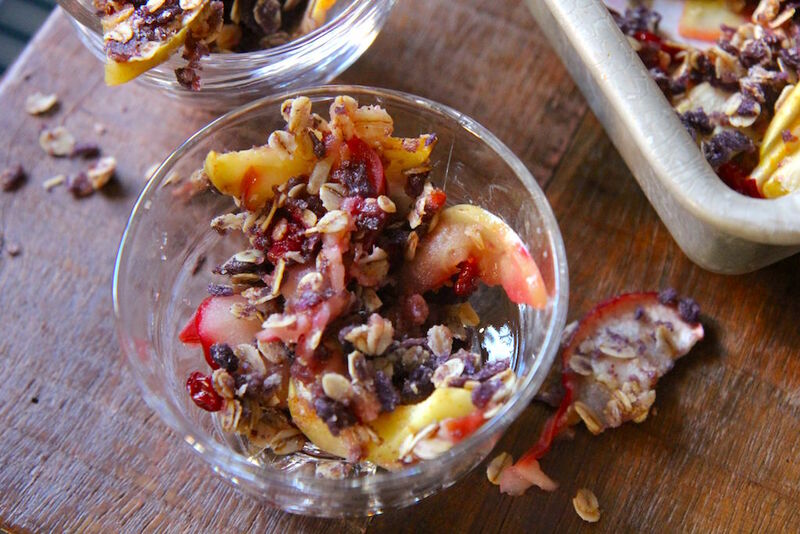 Winter is here and we're all trying to eat seasonally when we can. You know what that means when it comes to vegetables... variety often falls by the wayside. Before you default to white potatoes for every meal, know that there is a wide variety of nutritious root vegetables to discover. (Photo credit: AJ Batac via Flickr). Other names: Arvi, dasheen, eddo and kaloi. Where it's grown: Malaysia and India. 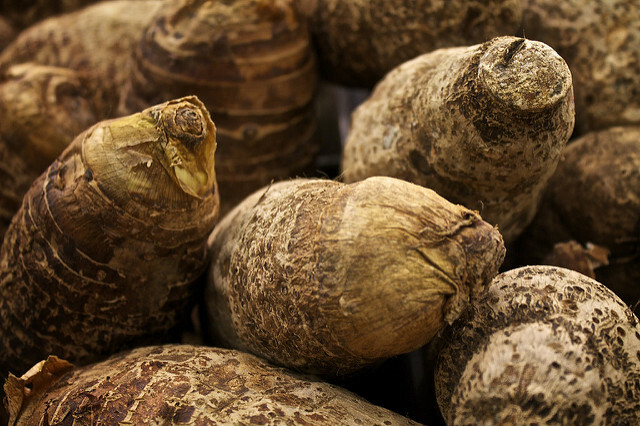 Nutritional Benefits: Taro is a great choice for people with diabetes, as this starchy vegetable has a low glycemic index (GI) of 53. 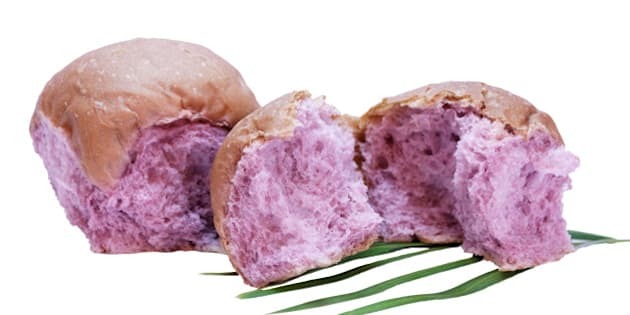 A low GI means taro doesn't raise blood sugar levels as high and provides more sustained slow release energy. Compare this to a white potato which has a high GI of 85, resulting in a blood sugar spike and energy levels that run out rather quickly. Low GI foods are also beneficial for anyone trying to lose weight and may also play a role in cancer prevention. Choosing low GI starches instead of high GI ones can help reduce insulin levels, and insulin is considered to be a growth factor for cancer. The main type of starch in taro is amylose, which is smaller and easier to digest for people with sensitive digestive systems. In the Pacific Islands, taro is mashed to make poi. Poi contains healthy bacteria that may have probiotic benefits, including boosting the immune system and promoting digestive health. One cup of cooked taro has 187 calories, 7 grams of fibre and 20% of the vitamin B6 most people need in a day. Vitamin B6 is needed to help your body convert food into energy. Vitamin B6 also plays a role in brain function and supports production of feel-good hormones such as serotonin and melatonin, a hormone that regulates your sleep and wake cycle. (Photo credit: Leslie Seaton via Flickr). Other names: Manioc, mandioca and cassava. Where it's grown: Mexico, Latin America, Southwestern U.S.
Nutritional Benefits: Part of the lily family, yuca is higher in calories than other root vegetables. One cup of cooked cassava has 330 calories and 4 grams of fiber. Don't let the calorie content turn you off. Yuca is low on the glycemic index with a GI of 55. It is also rich in nutrients that may help lower blood sugar and cholesterol levels based on results from animal studies. Cassava could also help improve arthritis symptoms as it's rich in saponins, compounds that may reduce joint inflammation. 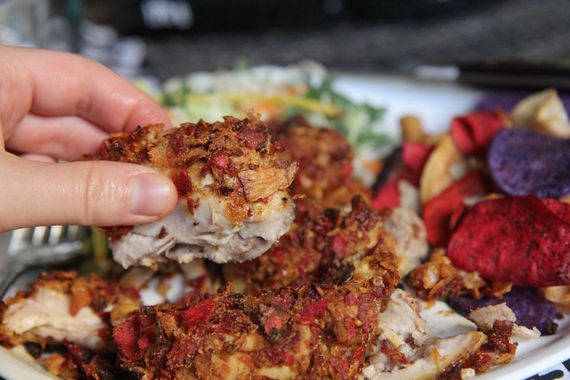 This tuber also contains polyphenols such as resveratrol, the heart-healthy compound found in red wine. Cassava's polyphenols reduce inflammation and have antioxidant power, protecting your cells from free-radical damage that speeds up aging and the development of chronic diseases. 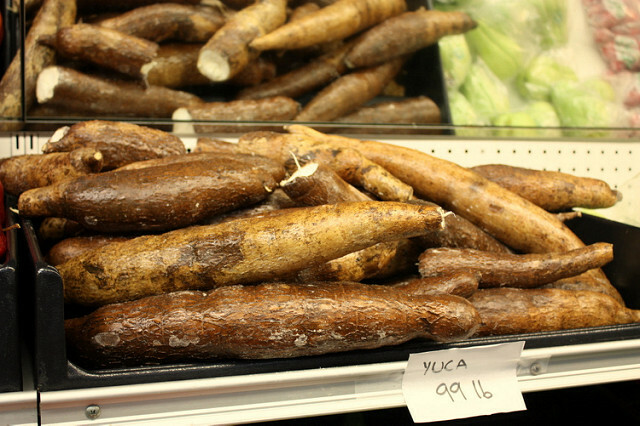 The cassava root may have digestive health benefits thanks to the presence of resistant starch. This type of starch helps healthy gut bacteria flourish, improving the balance of healthy bacteria in the digestive tract which lowers inflammation and can help manage digestive concerns. (Photo credit: Harvest Plus via Flickr). Other names: Boniato, white sweet potato, camote, Japanese yam. Where it's grown: Believed to have originated in Peru, batata was also grown throughout South America and to the Pacific Islands and New Zealand. Its now grown in over 100 countries! 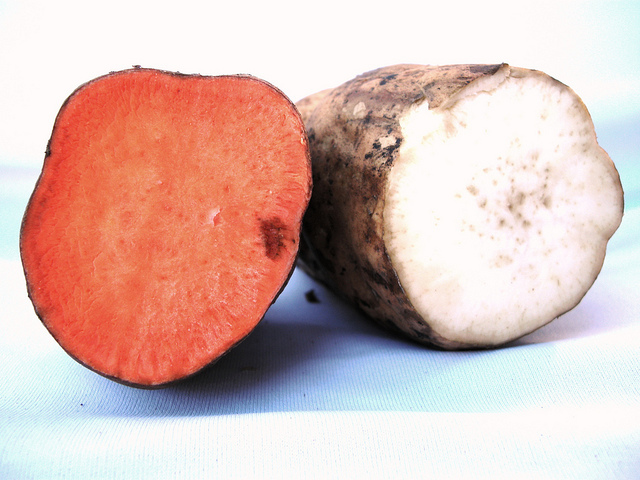 Batata is a type of sweet potato with white flesh instead of the bright orange you're probably used to. It's less sweet and more starchy than orange sweet potatoes and has more of a nutty flavour. Nutritional Benefits: One cup of baked batata is 181 calories and 7 grams of fibre. Batata is an excellent source of vitamin C, vitamin B6 and potassium. Vitamin C is a powerful antioxidant that can help boost your immune system. Vitamin B6 helps convert food into energy and is needed for a healthy nervous system. Eating foods rich in potassium can help counteract the effects of sodium and lower your blood pressure. (Photo credit: Anne in Chicago via Flickr). Where it's grown: Originally cultivated throughout Eurasia, parsnips are now grown throughout the world. Nutritional Benefits: Parsnips are lower in calories and higher in fibre than potatoes, making them a great substitute on your winter plate. One cup provides 7 grams of fibre, mostly in the form of soluble fibre. Eating foods rich in soluble fibre is associated with a lower risk of diabetes and heart disease. One cup of parsnips provides 23% of the folate most people need in a day, compared to 5% provided by potatoes. Folate is required to form red blood cells, so not getting enough can cause fatigue and anemia. 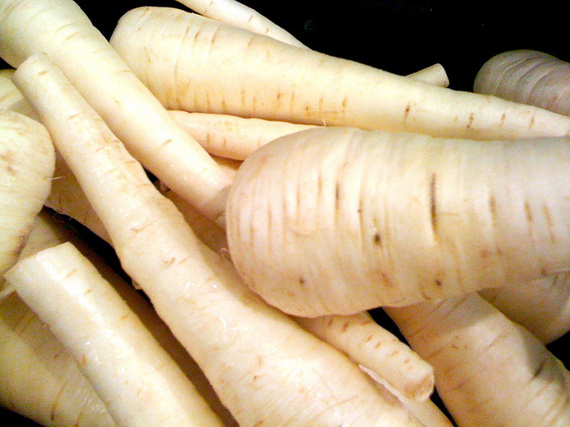 Parsnips contain a compound called falcarindiol (FAD) which may have antibacterial properties and help to reduce inflammation. In preliminary studies, it has been shown to prevent tumours, particularly colon cancers, from growing. (Photo credit: Iris via Flickr). Surprise! Potatoes made it onto this list! The blue hue is about more than beauty; it's an indicator that these potatoes are packed with antioxidants called anthocyanins. Nutritional Benefits: Purple potatoes have the same levels of antioxidants as spinach and kale! 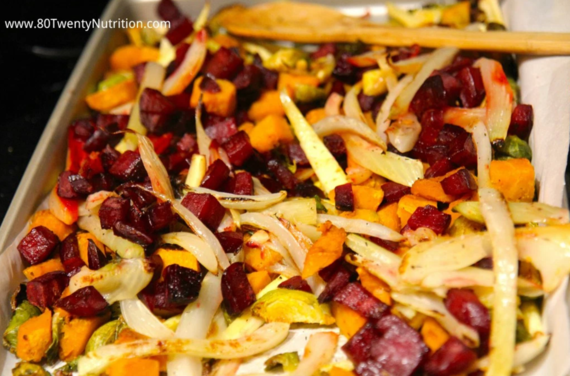 A study published in the Journal of Nutrition found that people who eat red and purple potatoes had lower levels of oxidative stress and inflammation, which are linked to chronic diseases such as heart disease, diabetes and cancer. They may also help lower the risk of Parkinson's disease and improve your eyesight. What's not to love? 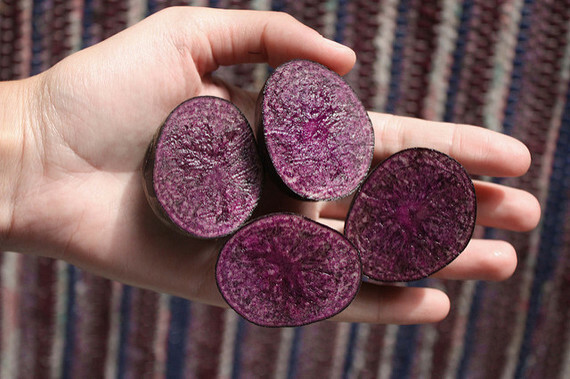 A study in obese people with hypertension found that eating one cup of steamed purple potatoes every day for a month reduced blood pressure by 4%. 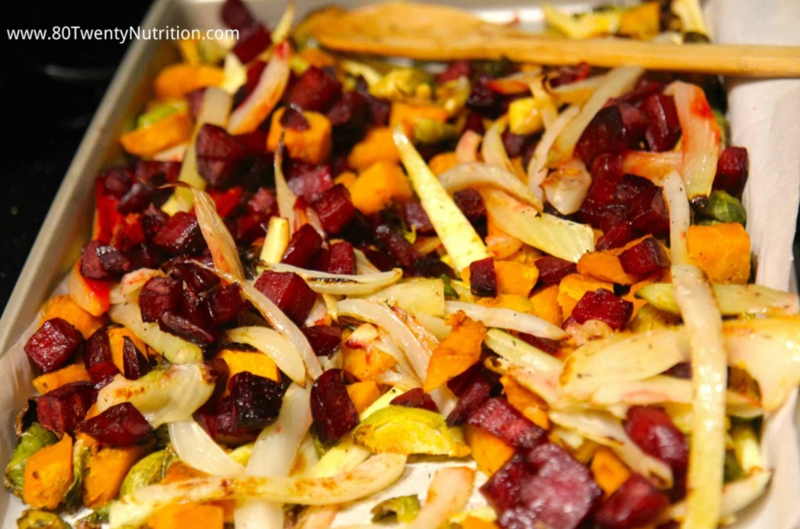 These root vegetables can be prepared the same way you make potatoes: roasted, mashed, baked as "fries" or as nutrient-packed chips such as TERRA® Chips. (Photo credit: Christy Brissette, 80 Twenty Nutrition). What's your favourite way to prepare these tasty tubers? Share your thoughts on Facebook with 80 Twenty Nutrition! Disclosure: this article was a collaboration with TERRA® Chips. All opinions are 100% Christy's own.